Champs on Jefferson has Taco Tuesday with $2 tequila shots and a DJ. St. Louis has a new sports bistro in town. 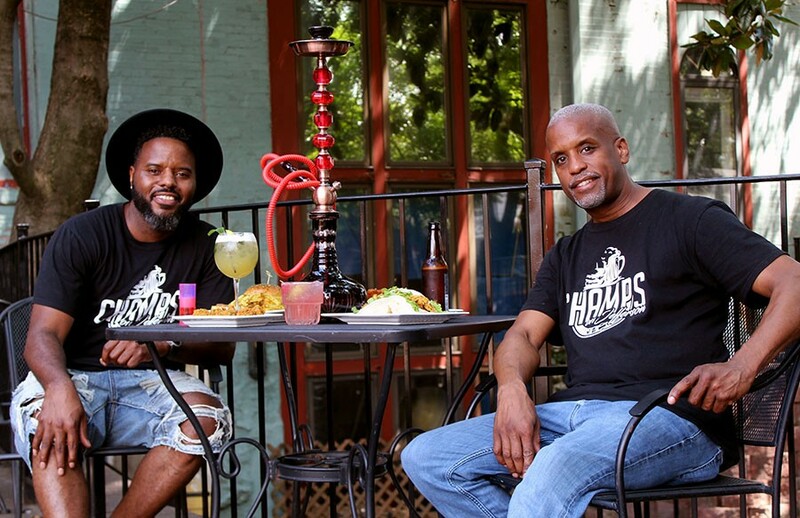 Champs on Jefferson (3701 Jefferson Street, 314-354-8444) opened last month and is serving up healthy and delicious bar food, hookah and drinks in the heart of south city. 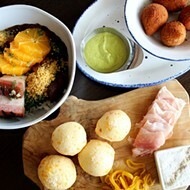 "This is not your average sports bar," says chef Anthony Stewart. 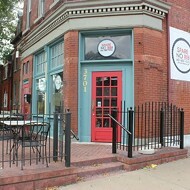 The building housing Champs on Jefferson previously held Spare No Rib, which has since moved to Gravois and again shares space with Egg. The owner of all three restaurants, Lassaad Jelitti, wanted to turn the building on Jefferson into something new and recruited his friend Anthony Stewart to help. 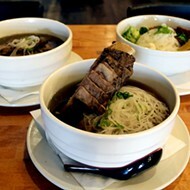 Stewart is a longtime chef, trained mainly in American, Italian and Asian cuisine. He knew the space should turn into a sports bar because that's what fits the neighborhood, he says. Now Stewart works alongside Marlon Whitfield to run Champs on Jefferson. They want customers to not feel like they are in just any sports bar. They made their dining room and lounge areas full of sunlight and bright colors, so it is not like a man cave like other sports bars, Whitfield says. "This is an experience," he says. Marlon Whitfield has a background in marketing along with Anthony Stewart. The menu also sets Champs apart. 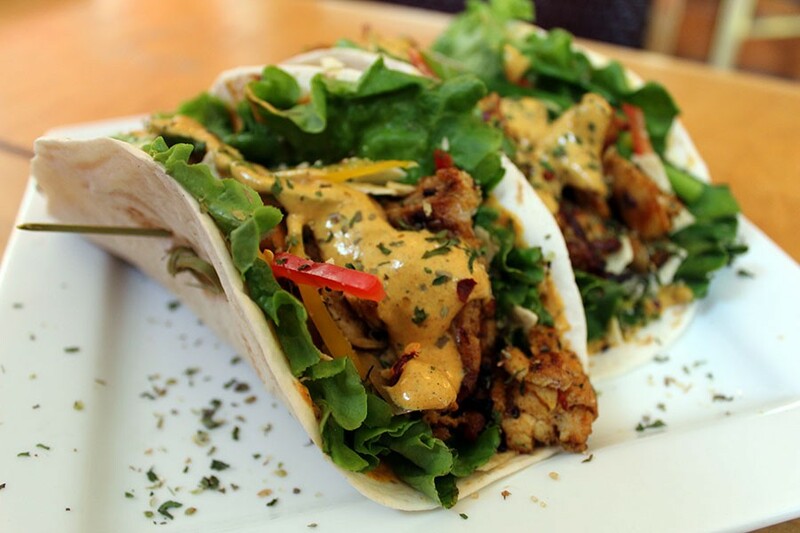 Stewart wants to serve healthy and flavor-packed meals. To that end, he's using a special spice mix he calls Layla's. Named after his daughter, this blend of paprika, turmeric, cumin, garlic and more is used on the wings, in the burgers and on the tacos. The "Layla Crunch" is similar but has red pepper flakes and a few more spices. It's used to top the salads and burger buns. 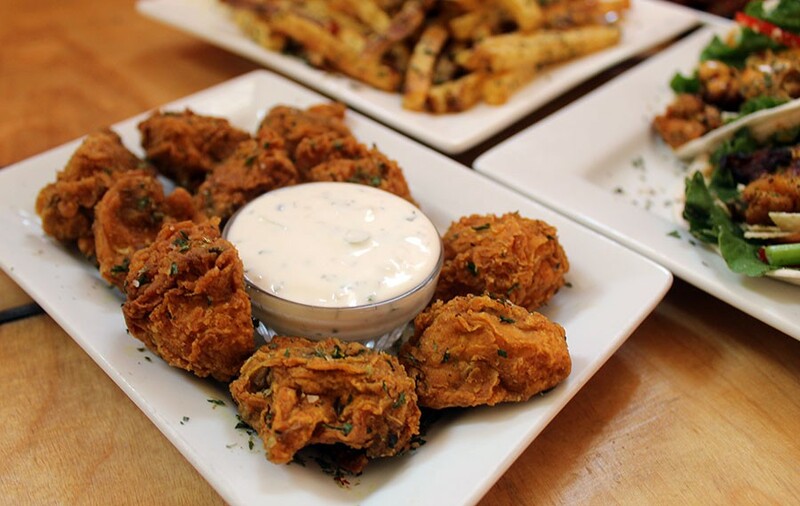 One of the most popular dishes, and one of Stewart's personal favorites, is the "Shrooms," or fried mushrooms served with house-made ranch ($5). The turkey burger ($10) and sweet chili wings ($10) have also been hits and are loved by Stewart and Whitfield. Stewart also boasts about the lamb burger, which costs $12 — much cheaper than other places, he says. The "Shrooms" are a great appetizer of mushroom poppers with homemade ranch dressing. It costs $5. Champs also have a full bar with many signature cocktails. They keep a mixologist on deck so customers can get custom-made drinks. "We haven't heard any complaints about drinks yet," Stewart says. The two-story building is broken into three separate but cohesive spaces. The "infield" is the main dining room with a bar, the "clubhouse" is the upstairs lounge and bar and the large back patio has the "dugout," a space for local performers. 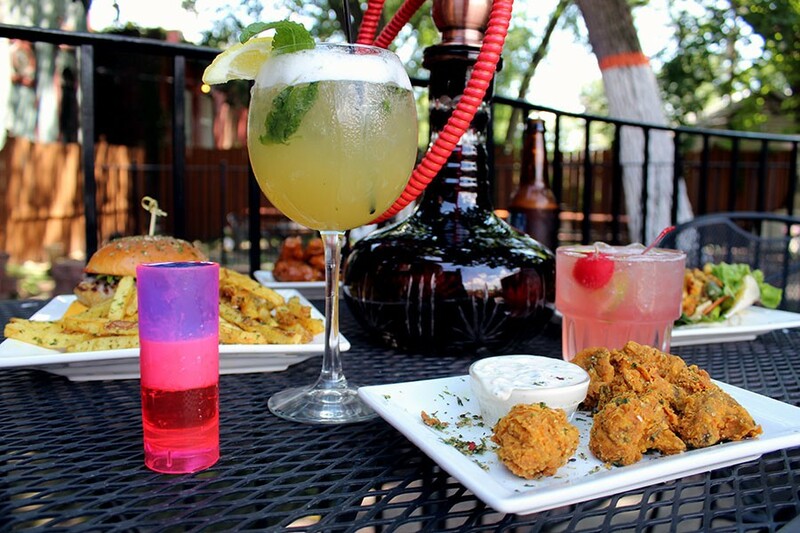 The back patio is also a great place for smoking cigars and hookah in the evenings. 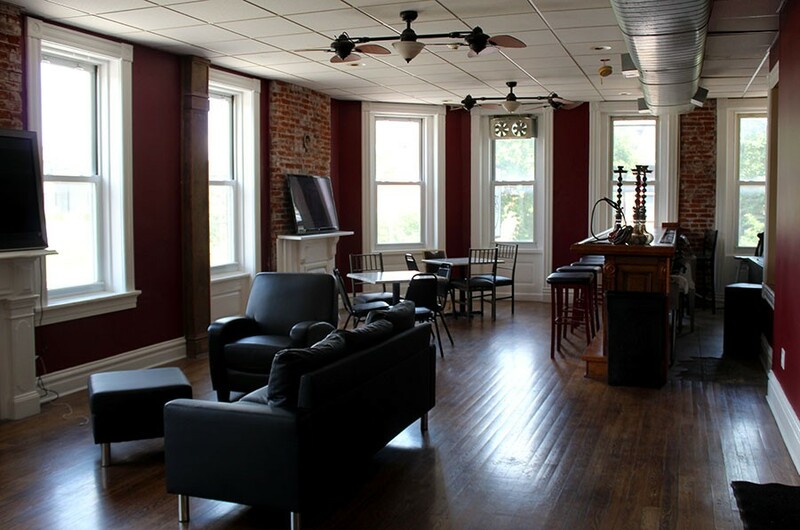 The clubhouse has its own bar, TVs and wifi so customers can relax and do work in this quiet upstairs. Every day there are different themes, including spoken-word Wednesday where local poets can preform, $5 Friday when everything on the menu is $5, and karaoke nights. Whitfield and Stewart like to describe their place as somewhere casual that locals can just hangout, eat and drink for good prices. "We want to be like the Cheers of the neighborhood," Whitfield says. Champs on Jefferson hopes to add brunch in the near future. They are planning to feature chicken and waffles, shrimp and grits and, most importantly, bottomless mimosas. 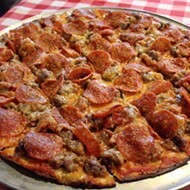 Champs on Jefferson is open Monday through Saturday with lunch hours from 11 to 2 and dinner from 5 to 11. On Friday and Saturday, they stay open until 1:30 a.m. Scroll for more photos. 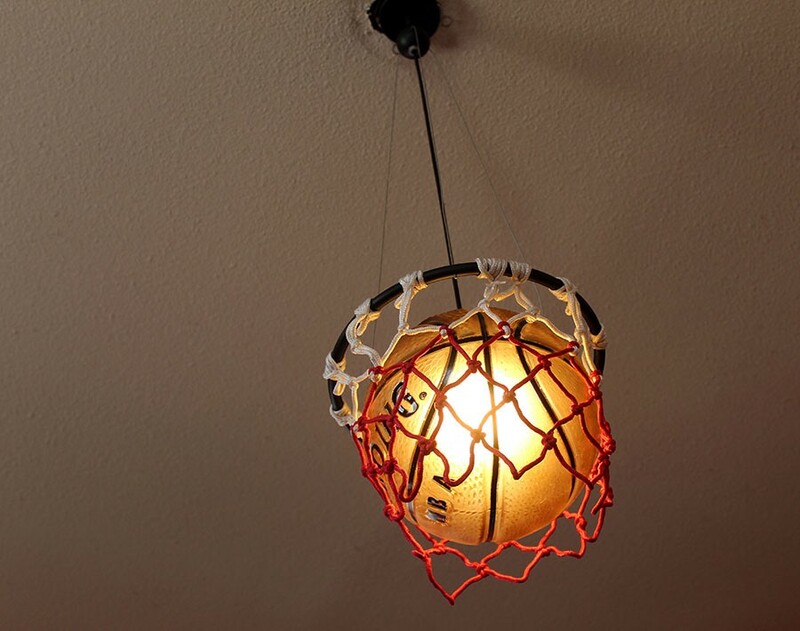 Basketball light fixtures add to the sports theme. 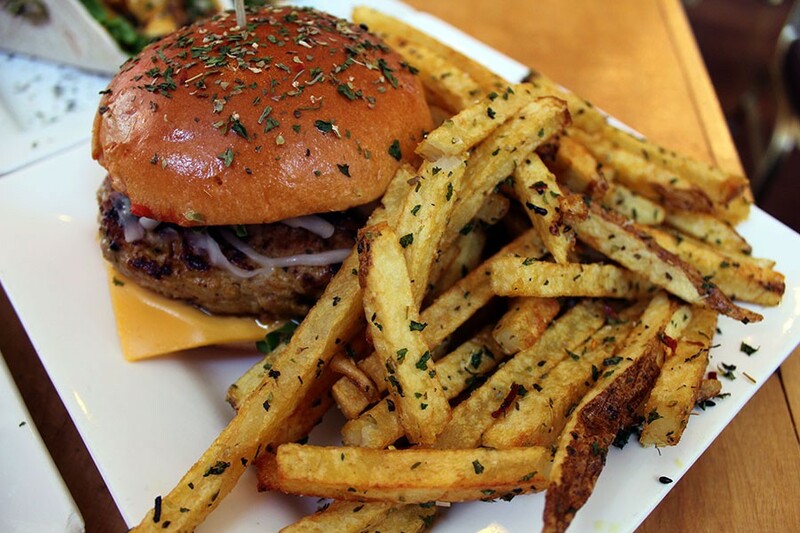 The turkey burger comes with fries and costs $10. A few of the signature drinks include the Basil Island Ice Tea, the Champs Punch and a layered People's Champ shot. 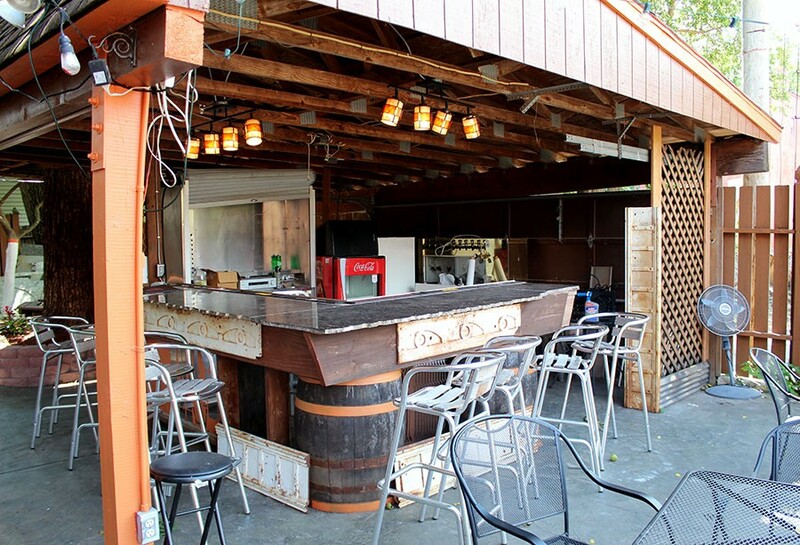 The back patio has its own bar and performance space.